There is nothing we enjoy more than driving around to see the beautifully decorated homes at Lake of the Ozarks around Christmas time! We love them all - the white lights, the colored lights, the yard ornaments, the Christmas Trees at the windows ... Christmas lights and decorations are beautiful and add warmth to your home despite the cooling temperatures. 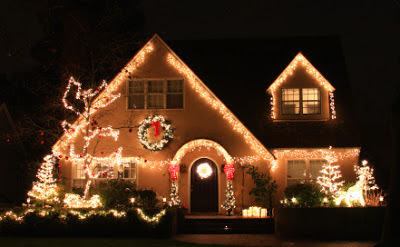 While Christmas lights are beautiful, they can also create a hazard for your home if not properly hung. Here are a few tips that you might consider when hanging your Christmas lights to ensure a safe and happy season. Great Condo, Central Osage Beach Location! 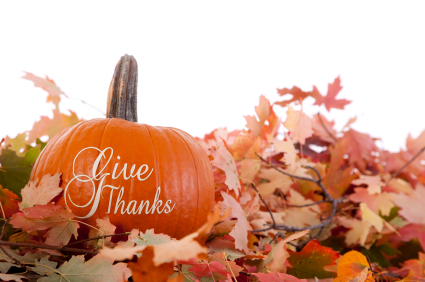 Thanksgiving is a great holiday to reflect on the many things we have to be thankful for each and every year. Besides being thankful that we have the amazing opportunity to live and work in beautiful Lake of the Ozarks, we wanted to share a few other gems for Thanksgiving. We found this published in Jim Blasingame's Small Business Advocate blog and it was just too good not to share. Be thankful for the clothes that fit a little too snug, because it means you have enough to eat.Be thankful for the mess you clean up after a party, because it means you have been surrounded by friends. Be thankful for the taxes you pay, because it means you are employed. Be thankful that your lawn needs mowing and your windows need fixing, because it means you have a home. Be thankful for your heating bill, because it means you are warm. Be thankful for the laundry, because it means you have clothes to wear. 770 Pershing Dr.Camdenton, MO 65020MLS#:3088269Price:$139,900Bedrooms: 2Full Bathrooms: 2Half Bathrooms: 0Super Sharp FURNISHED WALK-IN level unit, located close to the community pool, cove location. Light and bright interior, kitchen includes a side by side refrigerator, spacious breakfast bar & ceramic tile floor. The comfortable living area walks out to screened in deck with upgraded aluminum soffits, custom privacy shades and outdoor ceiling fan. The lakeside master suite includes a walk in closet, master bath features dual vanity. A 12 X 32 boat slip w/dock locker and 2 PWC spaces are included. Making this a great vacation or full time living package! One of the more stressful aspects of buying or selling a Lake Of the Ozarks home is the uncertainty that both buyers and sellers face regarding the decision itself. In each instance, there is risk and liability. It is worthwhile to understand and consider the value of a home warranty, especially during the period of listing or buying a home. Both buyers and sellers should research home warranties to understand how they work, what is covered, and the limitations of a warranty. Home warranties are not homeowners insurance. Homeowner's insurance covers the house itself, usually against fire, theft, vandalism, windstorms, natural disasters, accidental damage, or injuries. The job of this type of insurance is to protect your investment and your liability. But homeowner's insurance rarely covers the home's mechanical systems, leaving you vulnerable to the inconvenience and costs associated with breakdowns of these systems. This is where a warranty can come in.